Non greasy formula, cools & soothes quickly! Complete health care of feet. 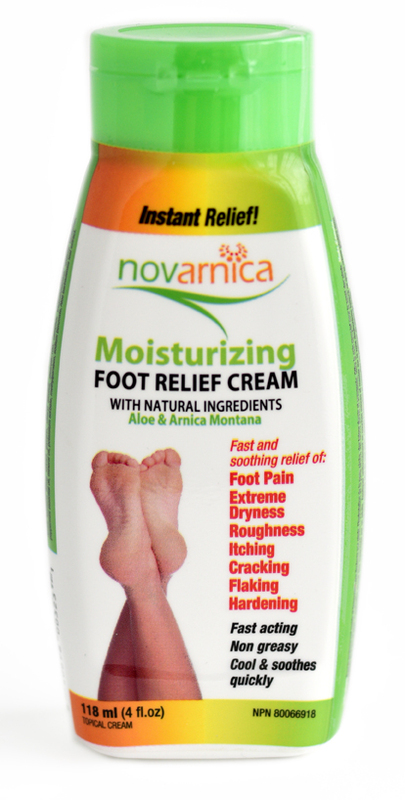 Devoid of sebaceous glands, the soles of your feet are naturally dry. It is therefore important to moisturize them daily. For adults and children 2 years and older: apply a thin layer and rub on affected area until the cream has penetrated through the skin. Repeat as needed up to 4 times daily. If pain persists or worsens more than seven days, discontinue use and consult a doctor. Water, isopropyl alcohol, steareth-2, arnica montana flower extract, mineral oil, glycerin, stearyl alcohol, steareth-100, carbomer, peppermint essential oil, aloe barbadensis leaf extract, carbomer, triethanolamine, sodium benzoate.